Befriending Support in Fa’side. We all need a hand sometimes. A new befriending support project running in Fa’side – Tranent Cluster started this year. This project focuses on helping children and families prepare and be ready for transition to nursery or primary school. Guest Speaker: Evelyn Swinton of Big Hopes Big Future project. 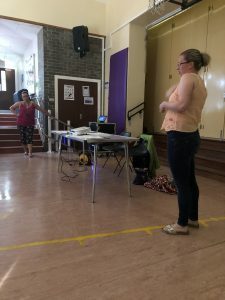 The project is run through Home-Start East Lothian, and the co-ordinator, Evelyn Swinton, was guest speaker at the Parent Council AGM on 25th June. 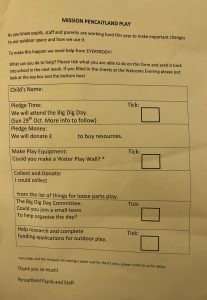 (Big Hopes Big Future is being rolled out nationally, having started in England and now funded locally and in Aberdeen for families with young children, not yet in school). 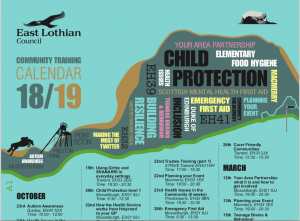 Evelyn shared this short media film, made here in the Tranent cluster, which gives an indication of what the project aims to do and how it works. The joy of giving caring support at the right times, is how much it can benefit the children, not just the parents. By providing friendly but high quality of support to families, whether new to the area or facing some particular difficulties, parents can work with their peers to help get life back on track. 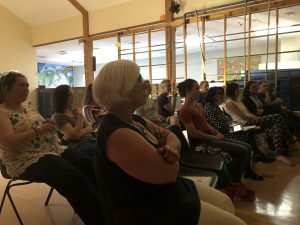 The Parent Council and staff present enjoyed the presentation and appreciated Evelyn’s time in answering questions too. All hope that any local families with a young child, who could benefit from a friendly face there to help and support, will be able to be matched to the Big Hopes Big Future volunteers and also benefit from the programme. To find out more about Home-Start or BHBF project, please contact Home-Start East Lothian. Volunteers receive training and support from the East Lothian team. Families supported through BHBF or other Home-Start volunteers, or the Support from the Start Family Support Worker Heather, can be assured of being matched to a very caring and understanding person who will work with them to ensure the help needed is provided. Families and volunteers tend to report a sense of developing a real friend and having a lot of fun too. Want to know what’s going on in school? Want to keep up with recent communications? Want to get an insight into what your child/ren have done in school each week? 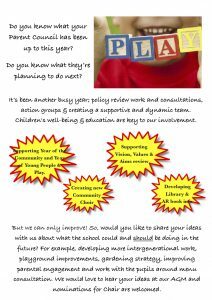 Want to find some information on Early Years in E. Lothian or Curriculum for Excellence etc? 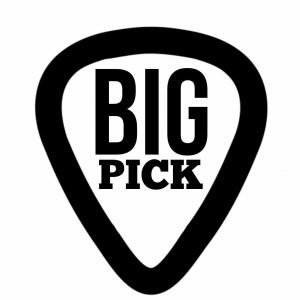 Head to the Home Page for the Blog, look down the Right hand side, and you’ll find these. 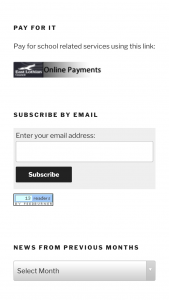 The link to making online school payments comes in very handy, but the option below it can really simplify general school – home communication. Embroidered Badge with pupils’ logo for sale / ordering. A chance for all to buy an Uniform and Logo update for adding to uniform items. Initially – one per child can be purchased on 28th & 29th June (providing there are no delays with the order) and then option to request more. 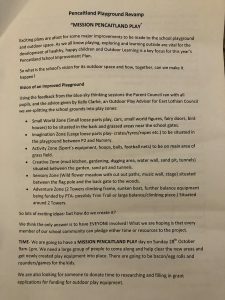 Pencaitland Primary School Parent Council Annual General Meeting. 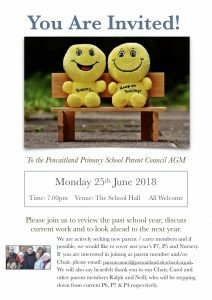 You are cordially invited to the PPS AGM 2018. To be held in PPS on 25th June 7-9pm. 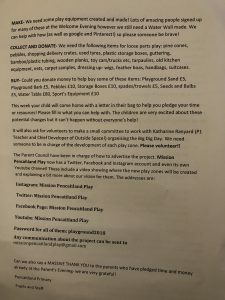 We would also like to invite any nominees / volunteers to note interest in joining the parent council, as we have three parent members standing down this year. 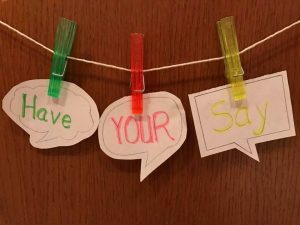 All parents and carers of a child in the school are automatically part of the Parent Forum and are eligible to be nominated / volunteer. 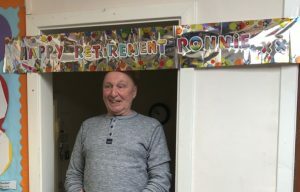 We note grateful thanks to Neill Russell for his time and commitment and support over the past couple of years, especially with IT and the formation of sub group looking at unconscious bias and creating the online “donation of books” sign up. Ralph Averbuch will also be stepping down after many years as he will no longer have a child in the school. Keeping on the tradition however, Ralph is already a member of Ross High Parent Council and recommends getting involved and hopes to remain involved as our community member. 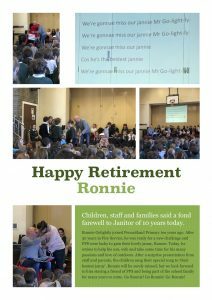 Especial thanks to Carol Snow are also required, as Carol will be stepping down from parent council after lengthy service, including 5 years as Chair (over two separate periods). Carol was also, formerly, the East Lothian representative to the National Association of Parent Councils, so we all bow down before her! A mighty service indeed. Carol is creating some time, not for rest and recuperation from community work, instead she is helping to lead our new Community Intergenerational Choir, along with Charlotte McMillan and our recently formed committee. (Link will take you to Facebook). 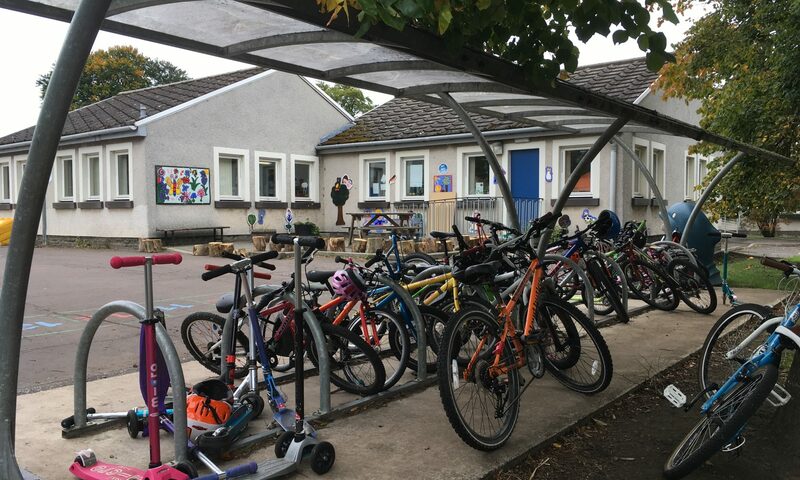 If you would like to find out more about the PC and considering joining the crew, please email parentcouncil@pencaitland.elcschool.org.uk – or talk to one of the current members – Carol, Ralph, Jim, Flor, Neill, Loreen, Erica, Dave or Viv. 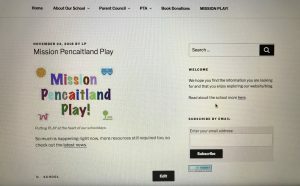 Check out the parent council page for more info info around what we do.